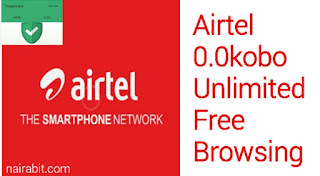 Tweakware VPN has been upgraded to version 3.0 with the addition of latest Airtel 0.0kobo tweak. 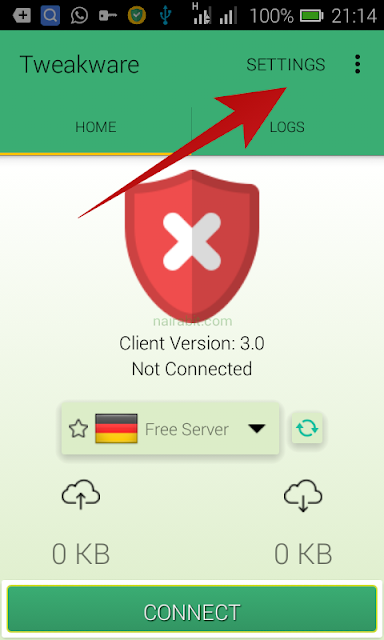 For those that are still finding it difficult to connect on psiphon and other VPN, you should try the latest version of tweakware VPN. 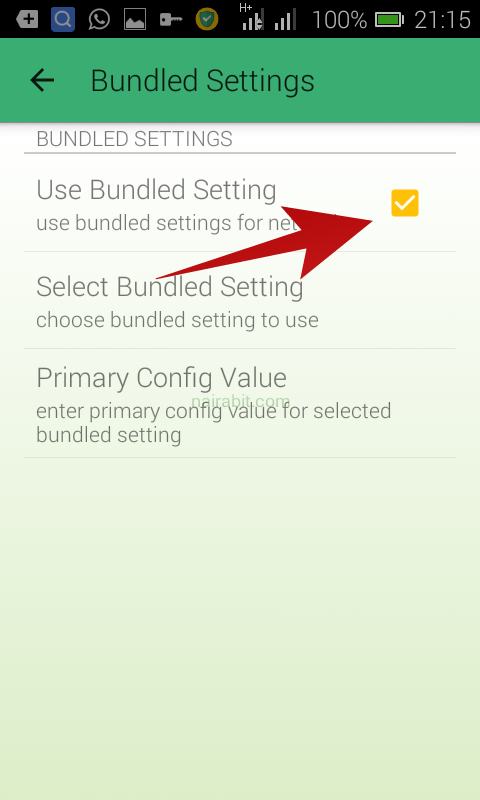 Tweakware VPN is unique because onlike tweakware handler and psiphon handler, you do not need to bother yourself with doing any settings as it has already been configured, what you just have to do is select airtel 0.0kobo in bundle settings and connect. 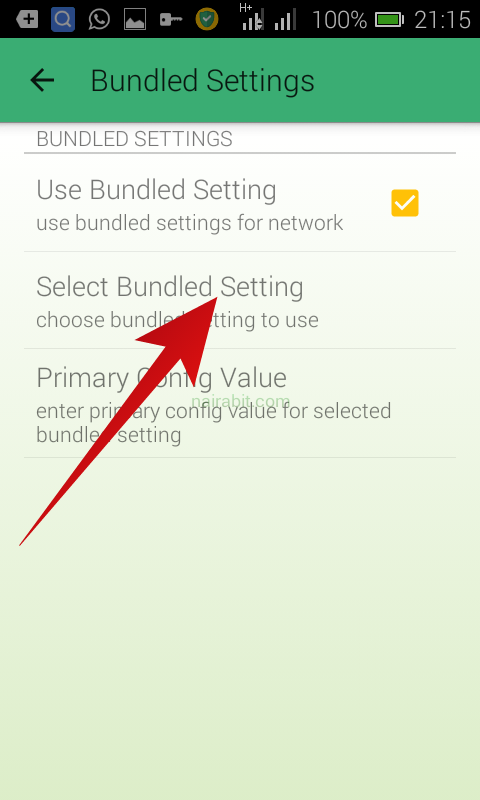 You should also know that tweakware VPN is different from tweakware mod handler. Update: tweakware are currently having problem with their servers, hence you might get " http connection failed". So you have to wait until they solve the problem. 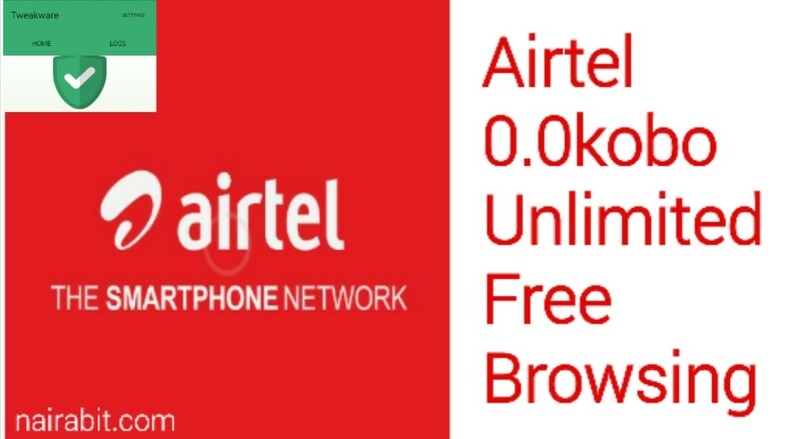 You can still use psiphon and tweakware handlers to rock airtel 0.0k while you wait. It should connect within few seconds depending on the network in your area. Note that free users are restricted to 200mb daily usage, but you can use the free server unlimited, with the use of ID changer. 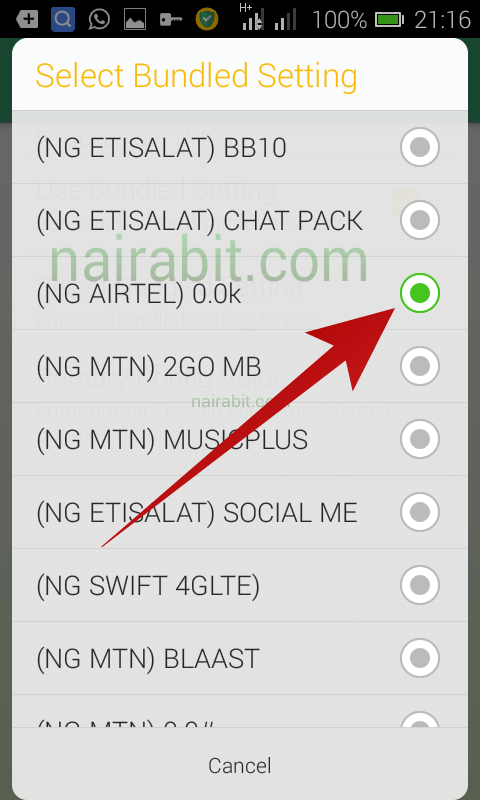 Download Nairabit android app for latest updates so you don't miss out. Enjoy this tweak while it lasts and tell us your experience using the comment box.